Since 2012 ROC, MIKE and C. C. COBRA have won the EXPRESS and - in a completely genre-untypical instrumentation with double bass - besides numerous classics of instrumental fender rock'n'roll they have also developed a decent basis of their own compositions. After two self-distributed single formats, this mix, which is extremely well received live, has now also been immortalized in album format on 'Surf Experience'. The band recorded 11 completely new songs and added four studio live takes to the album as a bonus. Exciting, as the three always well dressed musicians on their own compositions like 'Dr. Freakenstein's Space Odyssey' simply leaves the narrow framework of the genre and creates atmospheric drone soundscapes. But of course they can also convince with the numbers strictly oriented to the late 50s. Last but not least, the musicians already have a lot of experience from bands like UP TO VEGAS or THE FLAMES - and have even produced their debut album themselves. From now on it goes again on tour, where the people from Karlsruhe often share the stage with well-known scene acts like MAD SIN, THE PEACOCKS or POLECATS. A crisp mixture of 60s beach party surf music and rock'n'roll. A musical entertainment, partly with artistic show interludes, which captivates by enormous joy of playing and energy. "Honey Bunny in Martini Mood" is the theme and instrumental fusion of COBRA EXPRESS. 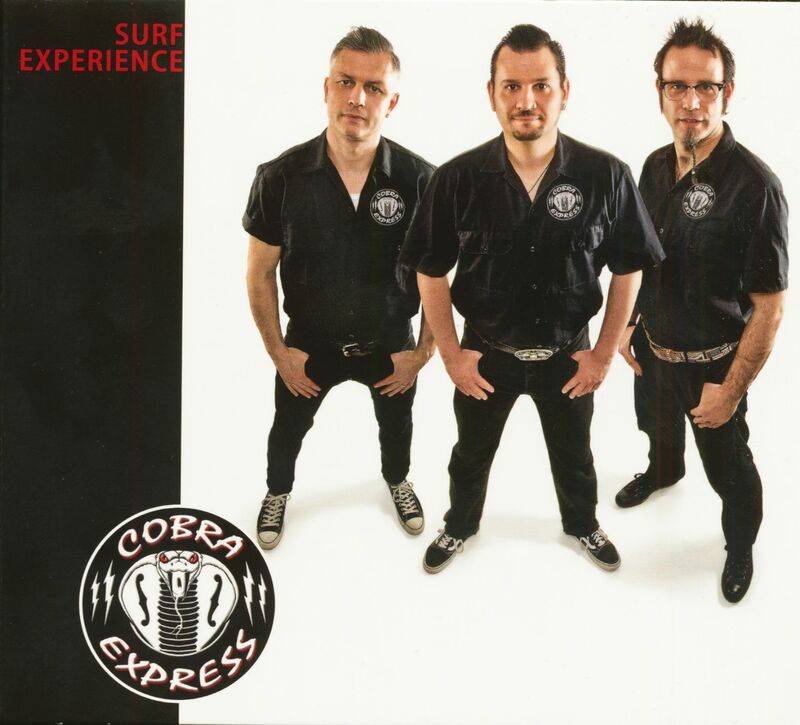 With popular classics from Tarantino movies, movie soundtracks and lots of their own surf songs, COBRA EXPRESS tour both in small clubs and at well-known events. The great repertoire of cover songs can confidently be described as a "Pulp Fiction Party". Your own songs are what surf music has to sound like today: Not denying the roots, but also be open to other influences. With titles like Beach Cruiser, Takatuka Land, Tijuana Tequilla or Waikiki Beach Party everything is said and done. Time to Surf ... Shake your body! Customer evaluation for "Surf Experience (CD)"